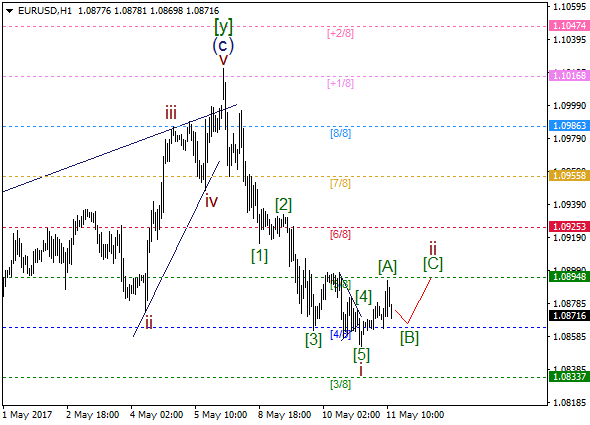 There's a pullback from 6/8 MM Level, so wave 2 may have been ended in the form of a double zigzag. Therefore, we could have a bearish impulse in wave (i). 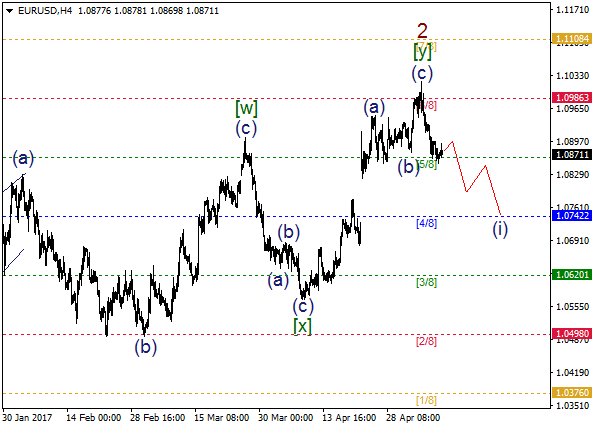 The main intraday target is 4/8 MM Level. As we can see on the one-hour chart, there's a bearish impulse in wave i with a triangle in wave . Also, we've got a pullback from 4/8 MM Level, so bulls are likely going to deliver wave ii, which could take the form of a zigzag. If a pullback from 5/8 MM Level happens afterwards, bears will try to break the last low.